This blog entry was also featured in my Huffington Post Column. No it’s Christmas shopping 2011. One would think after two million years of evolution that human beings would have transcended such nonsense. Sadly our fight or flight genes continue to be driven into a frenzy by the stress of our lengthy holiday shopping lists. I am afraid the baby Jesus gets the short end of the stick during the holidays. Given it is his birthday, don’t you think he should be on the list? And please understand, this is not just an idea for Christians. Notwithstanding what you believe about who Jesus was or what he represented, at a minimum he was a wise prophet that offered the world healing wisdom; wisdom like love thy neighbor, judge not, blessed are the peacemakers. Good stuff. So if we are buying the newspaper delivery person a gift, why not add baby Jesus to the list? Now … WHAT to get him? An Ipod shuffle? The Twilight Saga Collector’s Edition? An Xbox with Batman: Arkham City? We could also copy the wise men and snag some gold and good smelling frankincense – or by today’s terms a gold pinky ring and cologne by Usher. While these are all nice gift ideas, honestly, it’s the baby Jesus. We can do better than that. To date, the best gift guide I have found is contained in the book of Micah: “What does the Lord require of you but to do justice, love kindness and walk humbly with your God.” How about putting acts of justice, kindness and humility on your list? These are things that the baby Jesus would love way more than an Xbox. How about the gift of “doing justice”? And keep in mind, the scripture says “do justice.” This is not a John Lennon approach like imagine justice. This is about taking action. My friend and filmmaker Dan Karslake is working on a new movie entitled “Every Three Seconds”. Tragically every three seconds someone dies of hunger and poverty. Yet the greatest tragedy is that today, right now, we have the means to stop it. What are some “justice” gift ideas? Take advantage of the opportunities right in front of you and do something about those in need. The easiest way? Volunteer. One hour out of your week won’t tick up your stress levels that much. In fact, focusing on others might well reduce them. For a list of suggestions, check out this. A true holiday gift is an act of justice – one human being to another. Or how about the gift of kindness? This may be harder than we think. A recent Consumer Reports poll showed that of the top holiday stresses, “being nice” ranked in the top ten. How hard can this be? We’re only talking about a few modest acts of kindness. Like the recent media report of the Santa who learned sign language. The story explained that a local school for the deaf was invited to visit, but the children were not told Santa knew sign language. When the first child climbed on his lap, Santa signed, “what would you like for Christmas?” and the child’s face just lit up. “Kindness” gift ideas? Learn sign language would be at the top of the list. But if you don’t have time for this, then how about just learn to speak to people; people like those who take the blunt of the holiday stress, like bus drivers, store clerks, and waiters/waitresses. Even a simple question like “how is your day?” or “how are you doing?” shows that someone noticed… someone cares. These streams flow willingly into the rivers and seas not because the rivers and seas hold themselves up, but because they lower themselves in the land, so that the water might naturally flow to them. She then goes on to suggest several ideas for dealing with family stress, such as: Don’t take everything personally, wait before you speak, and my personal fav: when in doubt carry a blankie, like a favorite photo or token to give you an extra shot of strength. 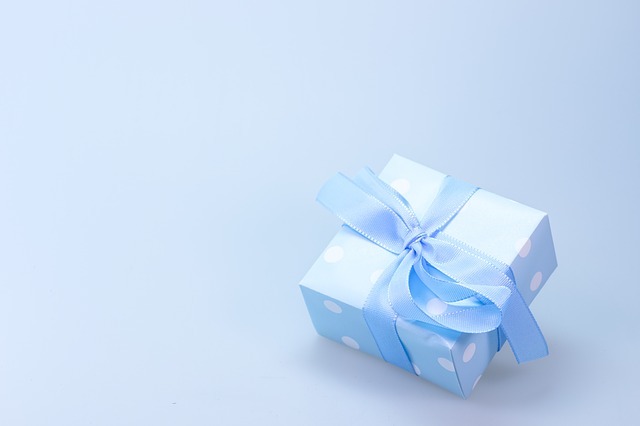 We have all been given unique gifts – gifts that make the best and only true holiday gifts. Reach deep within; find what you have to give; quietly cultivate your sense of justice, kindness and humility … and put the baby Jesus on your list.